With so much choice your exercise routine will never get boring at David Lloyd Clubs. 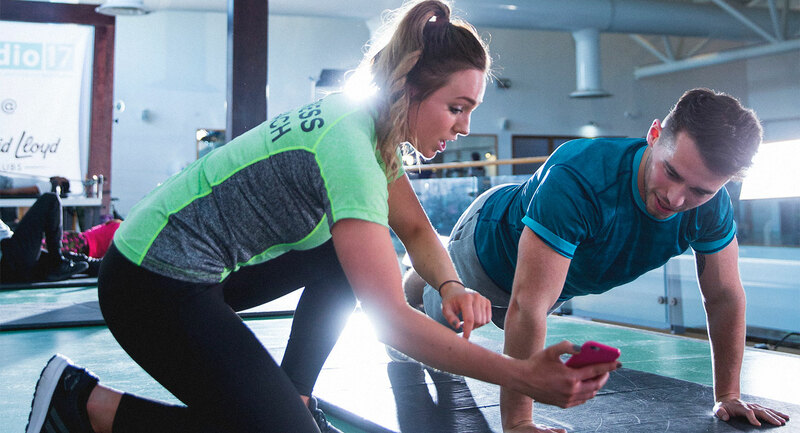 Whatever your style of training, David Lloyd Clubs will have something to suit you. Our gyms are full with an unrivalled range of equipment including cardiovascular and weight gear, as well as offering group exercise classes where you can work up a sweat, or yoga and Pilates sessions – there’s so much to choose from. We also have beautiful swimming pools, as well as relaxing saunas and steam rooms to give your muscles a rest after a workout. We’ve developed a new type of gym that integrates every possible kind of training in a really friendly, open-plan layout. Our gyms have areas for cardio, free weights, functional training and are full of the latest equipment to make sure you get the most out of every gym session. We know it can be easy to fall into the same routine in the gym but with our amazing range of equipment you’ll never get bored. Working out with other people is a great way to stay motivated and with a great range of classes we’re sure we’ve got something for everyone. With superb equipment and expert instructors we will make sure you get the most out of every session. Our studios are specifically designed for different types of exercise to ensure you’re comfortable in every class. Our Group Cycling studio offers both instructor-led and virtual classes, and our Mind & Body studio is the perfect place for our holistic classes such as yoga and Pilates. The High Impact studio covers everything from circuit training, martial arts to interval training, plus with our range of virtual classes we’re able to offer an unrivalled amount of choice to our members. Whatever workout you enjoy, we’ve got a class you’ll just love. If you’re struggling to see the results you want then our Personal Trainers could be the answer. Not only are they all approachable and friendly but they’re also really challenging and great at pushing you and keeping you motivated. You’re sure to get the most out of every session and you’ll be amazed how soon you’ll see real results.